Brown Rice (Oryza sativa L.) is whole grain rice that has had only the husk removed, leaving the germ, bran and the endosperm intact. Both the bran and the germ are nutrient-rich parts of the grain. Bran contains protein, dietary fiber, fatty acids and trace elements while the germ is rich in vitamins, minerals and unsaturated oils. 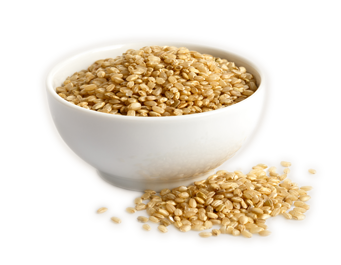 Protein-rich Brown Rice contains essential amino acids necessary for energy, growth, repair and maintenance. They help to energize the body, playing an important role in supporting metabolism.